Cannabis can be infused with many products to form all sorts of marijuana medicines, such as topical cannabis or marijuana edibles. But there are more specific applications. There are a number of different terms associated with marijuana medicine, including an elixir, a tincture, a syrup, a brew, an infusion, a decoction and teas. A tincture is a highly concentrated extract which is made by putting herbs into a jar and covering them with a solvent, typically alcohol, vinegar or glycerin. The mixture is then sealed for several weeks. 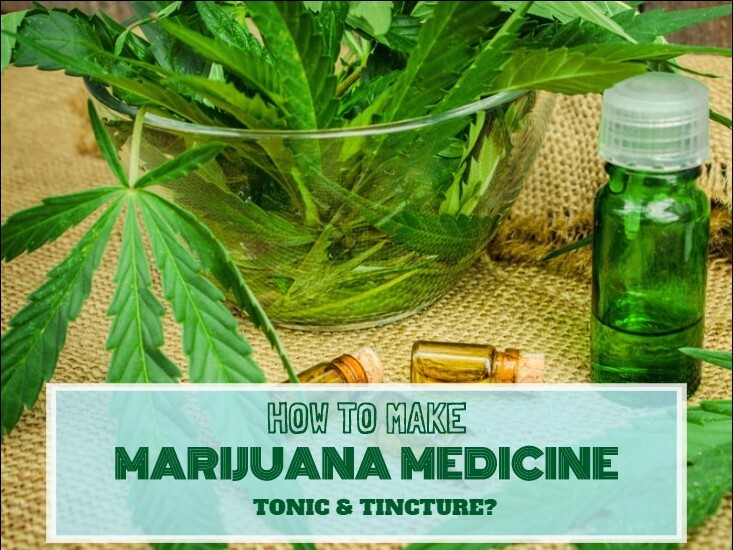 The following is a list of instructions on how to make a marijuana tincture, sometimes simply called a tonic. Blender, food processor or coffee grinder. Distilled Spirit – vodka recommended. The first step in any marijuana recipe is to decarboxylate the cannabis. Simply cut up your cannabis and put it into the oven at 120 degrees Celsius for 20 minutes. Next measure out the amount of marijuana you need with your scale. Aim for roughly 2 ounces of marijuana trim per 500 ml of distilled spirit, or 3 ounces if you are using the leaves. Add the cannabis to the quart canning jar and pour the vodka into it. Seal, shake and place it into a freezer. Twice every day remove the jar and shake it before placing it back into the freezer. After about 6 or 7 days all the cannabinoids should have dissolved into the alcohol. Put the cheese cloth over the strainer and place the strain over the quart size measuring cup. Remove the jar from the freezer and pour through the cheese cloth. You can now use the funnel to pour the cannabis tincture into the tincture bottles. You have now made a cannabis tincture. Store these bottles in a cool and dry location. If a freezer is not available you can use a fridge, however it may take up to a month for the cannabis compounds to dissolve in the alcohol. A solvent with higher levels of alcohol will make the dissolution process go faster. A few drops of this marijuana tincture under the tongue can have many beneficial effects.